Zut alors, here it is three days into October and we have not been talking about the supernatural! Every day in October that was supposed to be the agenda. Last year this initiative began a few days late and this year it will too. The good news is, this is a good day to start. It is Ember Saturday! To know what the Ember Days are you either have to be a very old Catholic or you have to be me. The Ember Days come four times a year at the start of every season. They are days you set aside to take stock of things and give thanks for blessings and to give up meat and eat fish fries instead, big sacrifice. First there is Ember Wednesday and then there is Ember Friday and Ember Saturday. There is no Ember Thursday! That is when you get to eat your leftover ham. These are the autumn Ember Days. I just love saying that. All I can think of are glowing embers, such as the glowing embers pictured above. 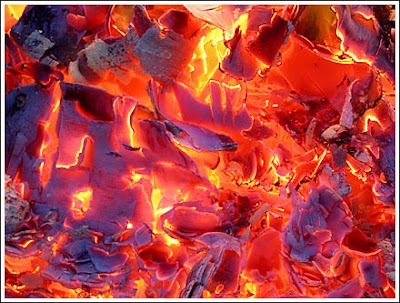 Here is a stylized picture of embers. 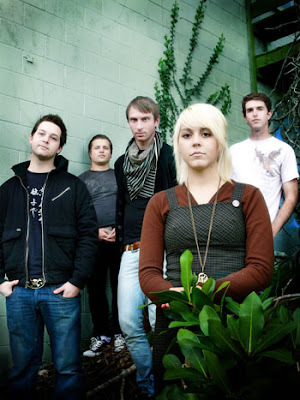 Wow, look, there is a band called the Ember Days! Here is a picture of them. I mentioned the Ember Days, the calendar days not the band, to my mother today when we went out to an estate sale and even she looked at me funny. "Mary," she said, "I have not heard of the Ember Days in a long, long time." That is what October is for. Speaking of which my friend Jane went yesterday to a very haunted place in Buffalo. She went to the Iron Island Museum. That is in Lovejoy which, note to out-of-towners, is called Iron Island because it is surrounded by railroad tracks. The Iron Island Museum used to be a funeral home owned by the Amigones who, and I do not know if I have ever mentioned it, are related somehow to Leonard Pennario. That did not surprise me because in Buffalo everyone is related to everyone else. 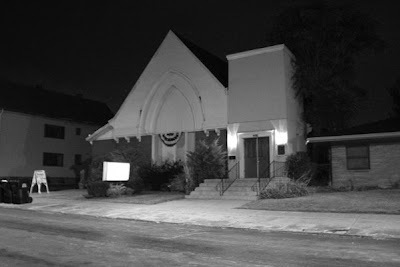 The Amigones donated the old building to serve as a museum of local history. But some of the funeral home's clients stuck around! That is what they think. Because ghost hunters go to the Iron Island Museum and they hear whispers. The Iron Island Museum is run by Marge Thielman Hastreiter who as I mentioned once before is my second cousin. She does not admit it but she is. We have a pair of great-grandparents in common. We are both descended from August Ernst who was a blacksmith on Buffalo's East Side. And our great-grandmother's name was Therese Wagner Ernst. I found out Marge Thielman Hastreiter was my second cousin because her sister was doing genealogical research and found me. Ahahahaha! But that is another story for another day. The point is, this is where Leonard Pennario's family and my family, their paths cross. At the Iron Island Museum! Because his relatives gave it to my relatives. Here is a picture of the Iron Island Museum looking spooky. The other day I am sitting at my desk working on this story about Richard Strauss and Jane is sitting at her desk going over her tapes from interviewing my second cousin Marge Thielman Hastreiter. And all of a sudden Jane calls me over. "I heard a whisper on the tape!" she told me. "Listen!" She shoves these ear buds into my ears. And I hear her talking, and Marge Thielman Hastreiter talking. And then there is this whispery sound. "Maybe it's a rustle," I said. "No, it's a whisper," she said. "Listen to it again." "I think it's saying 'Marge!'" I said truthfully. Someone from the great beyond is calling my second cousin! I do not know if that is good or what. But I believe that is what happened! And it happened on Ember Friday! Here is a question. I know as a Catholic I am not allowed to go to Lily Dale or seek out messages from the hereafter. But what if a co-worker wants me to listen to a ghostly whisper and try to figure out what it is saying? Am I allowed to do that? Imagine explaining this situation in a confessional. Why does my life always have to be so complicated? Mary, watch out for them haints! Larry, what are haints? I love that word. Ember Days sound mighty Pagan, Catholic girl. God bless that Catholic guilt sister! :)! Don't forget to pray for the pagan babies. Time to go to Embers Grill for dinner! Maybe you can ask The Holy Ghost! Daryle, the Holy Ghost is the greatest! I've always been confused; the Catholic Church does not believe in ghosts, but has exorcism ceremonies and the "Holy Ghost". Then they repeal 'no fish Friday', and demote St Christopher.